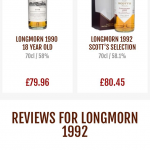 If you have a look at The Whisky Exchange website today, you may notice a few differences. By which I mean we’ve totally revamped the site. Our new front page – isn’t it pretty? We’ve been doing little tweaks over the past few years, but we decided that it was time to overhaul the site’s look and feel, as well as drop in a few new bits and pieces that you’ve been asking for. Here’s a quick rundown of what’s new. 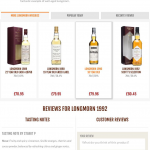 We’ve also upgraded our tasting notes, with our product pages now telling you much more about what drinks taste like, with key flavours and styles now added. We’ve not filled those in for everything yet, but we’re adding more every day. 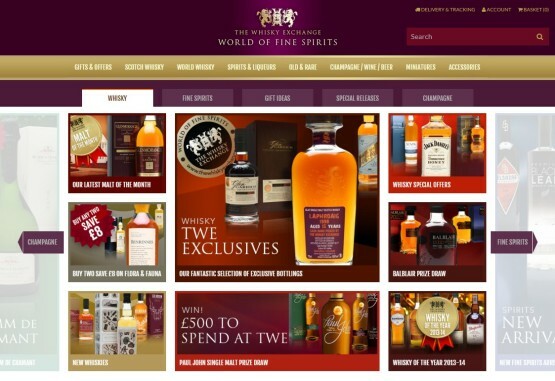 We’ve added more information all over the site, from the product pages through to our category, brand and distillery pages. If you want to know more about port or the difference between the types of American whiskey, then it’s all there – just click the ‘Discover more’ link. Behind the scenes we’ve also been adding information, and our searching and filtering is now even better. Typing into the search box will now offer more suggestions, as we’re tapping into much more information than on the old site. 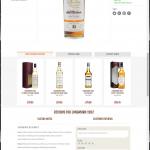 As one of the largest sellers of old and rare bottles online, we thought we’d make it easier for you to focus on either those or newer bottles – every product list on the site now has three tabs to help you quickly switch what you’re looking at: all, standard and old & rare. 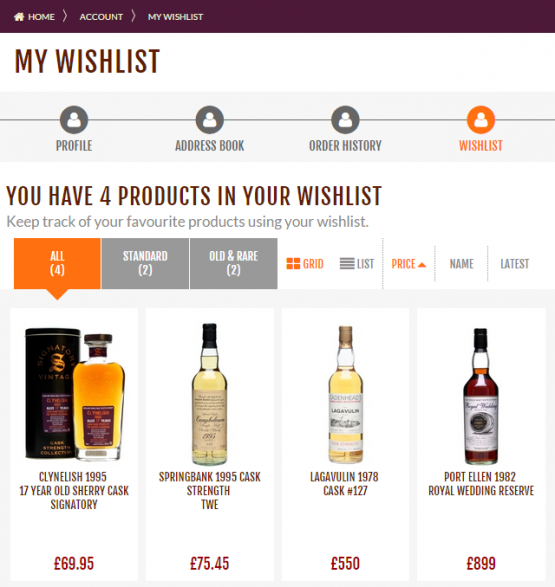 One of the most commonly requested features for the website has been wishlists, and we can now happily announce that we have them – just click the ‘Add to wishlist’ button that’s on every product page to start building one. This is just version one, and we’ve got lots of ideas on how to make them better that we’ll be rolling out over the coming months. We’ll be continuing to add information and enhancements, so keep an eye out for more changes in the future. Any comments or suggestions, please drop them in a comment below – we always welcome feedback. Any specifics as to what’s difficult? We’re always looking for feedback to make things better.